Convert website visitors into qualified business prospects. Shrinking Planet will work with you to develop an effective acquisition strategy that makes use of powerful online data capture, enrollment and user activity scoring tools. We can show you how to create a members-only area on your website, where visitors can gain access to privileged content in exchange for providing key information that you can use to automatically provide valuable qualified leads to your sales channel and to enhance your company`s customer relationship management (CRM) systems. We can even show you how to track and score the level to which visitors engage with the content on your website so you can develop better targeted marketing campaigns to reach them. 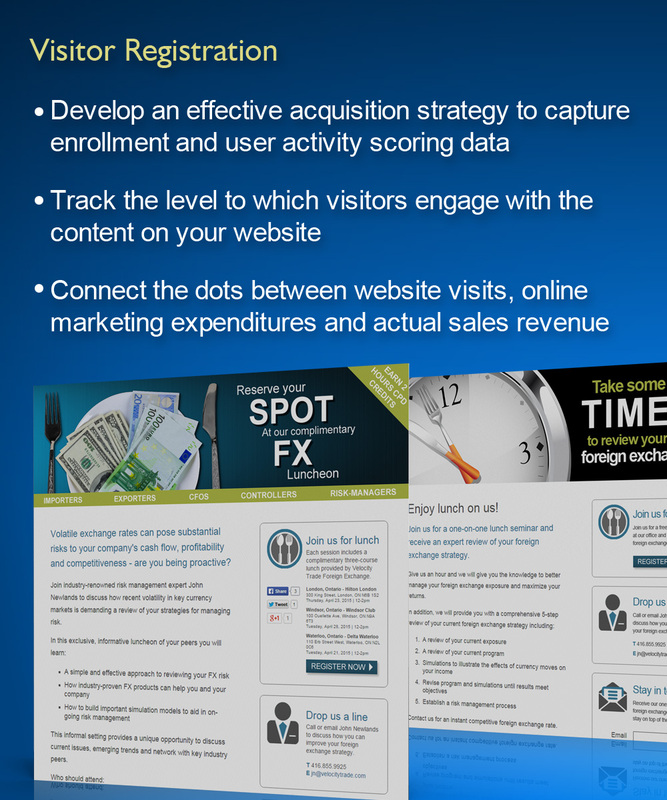 Perhaps for the first time, you’ll be able to connect the dots between website visits, online marketing expenditures and actual sales revenue. In fact, we can even show you how to turn your website into an automated revenue source by seamlessly connecting with popular online payment systems to charge customers a fee to access privileged content.